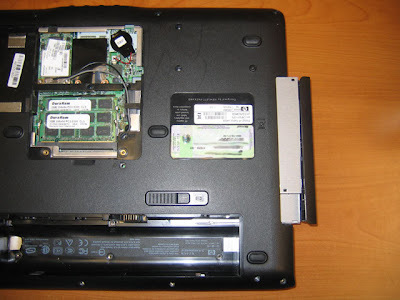 How To Disassemble the HP DV6000, DV9000, DV2000, and Compaq v3000, v6000 Disassembly Tear-Down with photos. 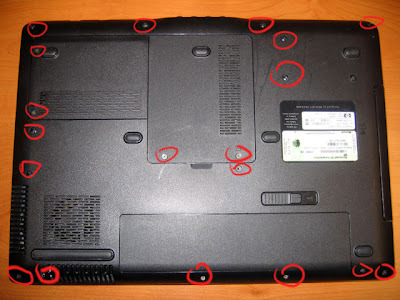 Sorry about some of the fuzzy photos .. did not bring the good camera..
Next is the HP DV6000. 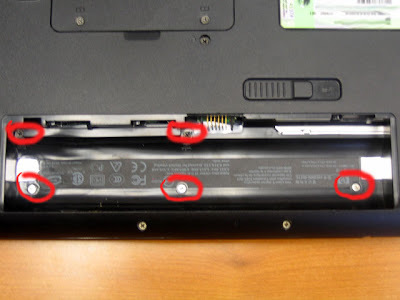 All of the HP Pavilion DV series and I'm sure more all follow this guide with the exception of screw placements and the exact configuration of the system board. There will be some difference with the DV series models but this will give you a basic idea of how to crack them all open. 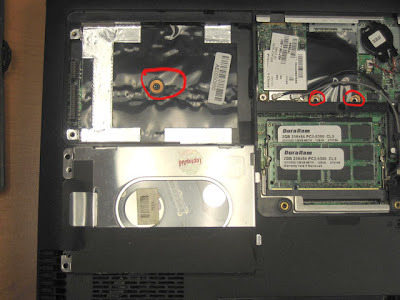 The horizontal cover at the top left is the hard drive cover. 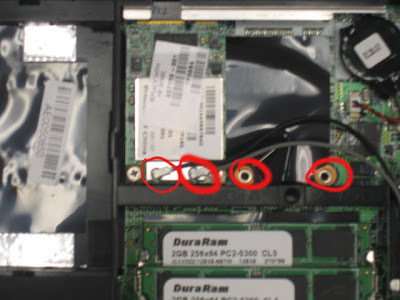 as well as 2 of the screws that hold the keyboard to the chassis the other screw for the keyboard is hidden under the memory cover. 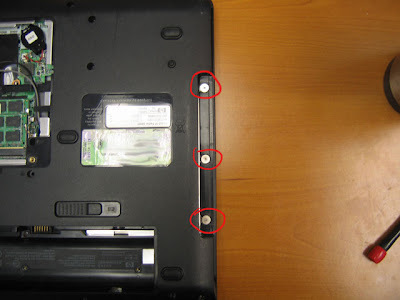 Remove the cables from the Wireless card at this time will keep you from having to flip it over again to remove the cables later. 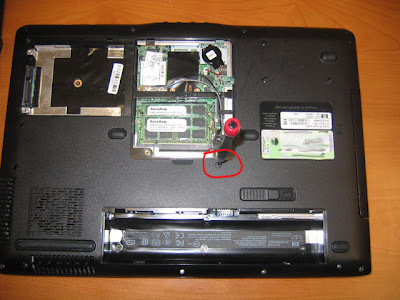 This shows where the CD/DVD screw is located. 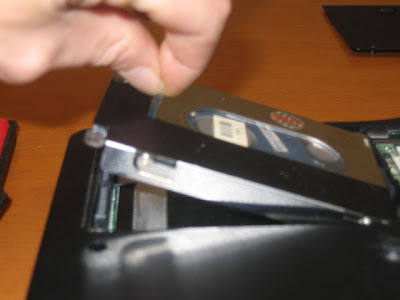 Carefully pull the CD/DVD out and place that to the side. 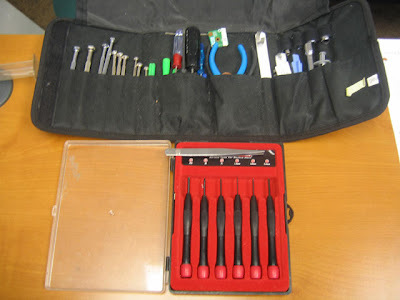 This will give you access to 3 more very large silver headed screws that will need to be removed. Thanks great tutorial! Ive been wanting to upgrade the motherboard in my DV9000 and with this guide I will be able to save some cash and do the swap myself!! Thanks again!! 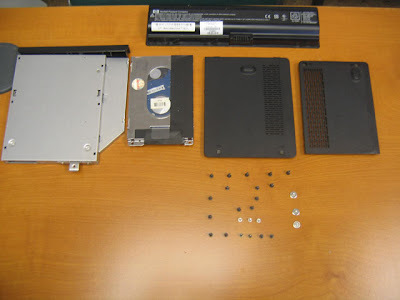 Hands down this was the most thorough explanation of how to disassemble an HP DV6000 I could find (and I spent a half hour looking). 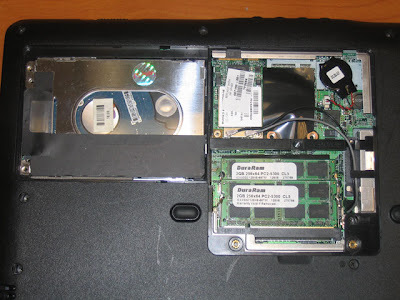 It walked me through my very first motherboard change and my inlaws laptop actually worked after I put it all back together.